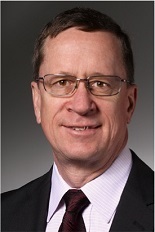 Dr. Karl Burgin has over 30 years experience in biomedical research and drug development. After completing his PhD and post-doctoral training in the US, UK and Switzerland, he joined the pharma industry, serving in progressively senior positions across all aspects of strategic and operational regulatory affairs. In the late 1990s, he led the development of Roche’s regulatory document management system and redefined cross-functional processes to ensure rapid, simultaneous submissions in all major global markets. In 2006, he moved to Japan as Liaison Director at Chugai Pharmaceuticals, supporting the Roche-Chugai collaboration across the co-development portfolio. Upon returning to Basel, Karl was responsible for defining the overall strategy for integrating Asian and US/European drug development programs. Karl founded Maxia Strategies in 2010 to apply his global experience to maximizing development projects from pre-clinical candidates to established medicinal products. Karl is an external examiner for the European Postgraduate Certificate in Pharmaceutical Medicine, and is a member of the Drug Information Association (DIA) and The Organization of Professionals in Regulatory Affairs (TOPRA).